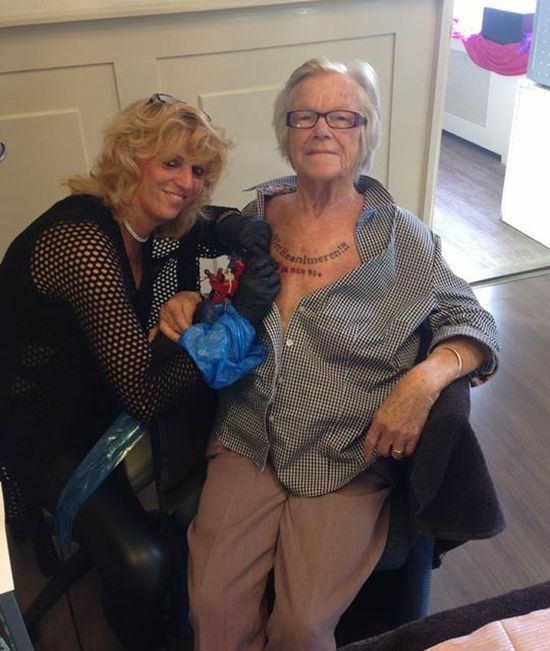 This 91 year old women had the words 'do not resuscitate' tattooed across her chest so that she can quietly pass when her time comes. Nel Bolten, from The Hague in the Netherlands, says she had the inkbecause she does not want emergency crews to bring her back to life if she stops breathing. Dutch health minister, Edith Schippers, has confirmed that it counts as a legal declaration. how come i only see one picture ?? Seeing only 1st pic too.